Ok, so I'm a little late on sharing this, but I wanted to share since this was such a fun little addition to our home. We were sitting together one night in December or January, and we stumbled across 27 maps that will change your view of the world. Most of them were really interesting and provided some fun perspective, and then we came across an arbitrary North map - the regular world, but flipped upside down. Conrad, being the geeky engineer type, went bonkers about how great the map was, and how our map is only "right side up" because someone decided it was. In space, there's actually no such thing as right side up. He said he loved that map and would like one in his office one day (you know, when we get an office). I logged the conversation away, and knew I'd get one for him as a surprise. 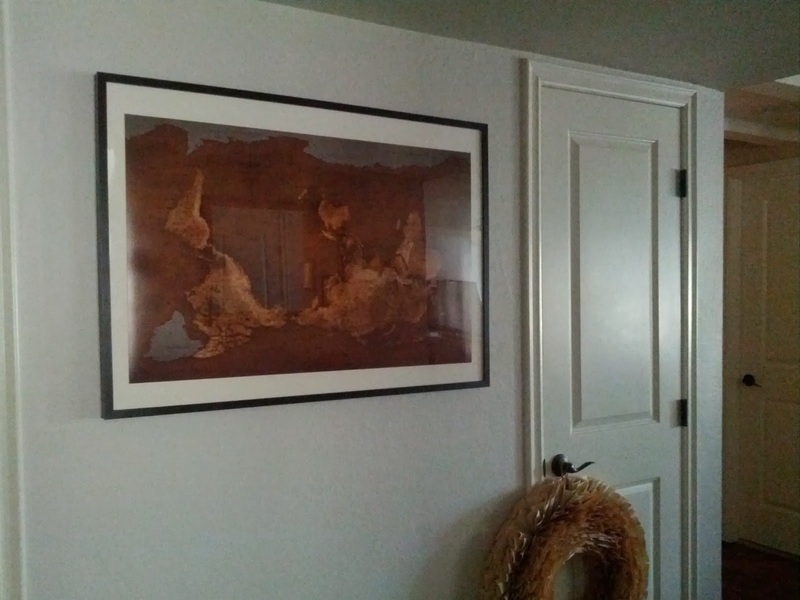 Skip to: Valentine's day was coming up, and I decided to get him his upside down world map. It's not just a regular map hung upside down, it's actually labeled correctly so you can see your familiar cities in a new way. I found this one on Zazzle and bought it immediately. We love it! I liked the earthy tones as opposed to the typical rainbow map. It's currently covering a hole in our entryway (the patching of which will count as part of a 25 project), and helps complete the space. 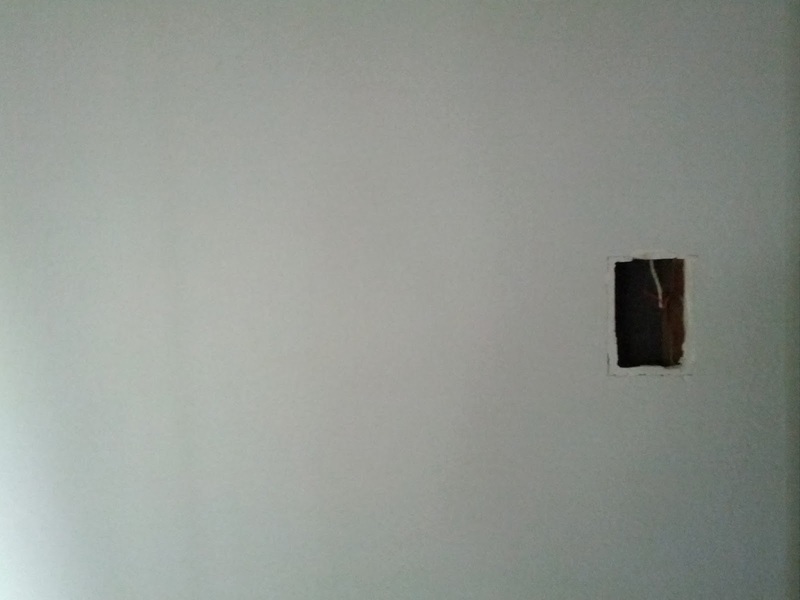 Without it, the wall is really bare and the room looks unfinished. I've got a couple of ideas to complete the space further as part of my 25 projects, and I'm thinking it will all tie in and display the map really well!